Looking for a soft, safe soap gentle enough to use on babies? 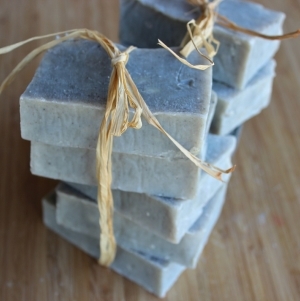 Just So Clean Coconut Castile Soap is handmade from all natural ingredients with no fragrance added. It smells "just like clean"! Don't miss our 12 Things To Do with One Bar of Soap, complete with how-to video and downloadable recipe list! You'll love the softening effects of the coconut oil and the cleansing effects of the olive oil. 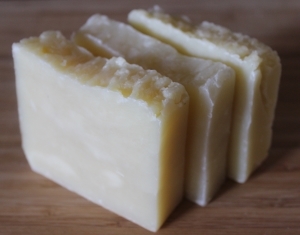 The full lather makes the soap perfect for bathing and shaving, and the purity makes it usable for homemade laundry soap and household soaps. 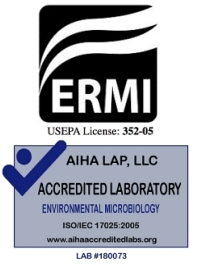 Suitable for High Efficiency washing machines due to the low-suds nature of the product. 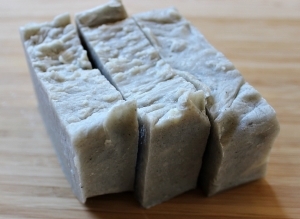 Ingredients: Saponified olive oil, coconut oil, castor oil, palm stearic flakes. Each soap is packaged in a reusable 100% cotton muslin bag with drawstring. Bulk orders (5 or more) are packaged in clear vegetable cellulose bags. Our signature coconut castile in a hand-crafted 4-oz. bar. Our 4-oz. soap, conveniently grated for laundry and household soapmaking use. Save $5! 10 of our 4-oz. signature bars in a money-saving package! 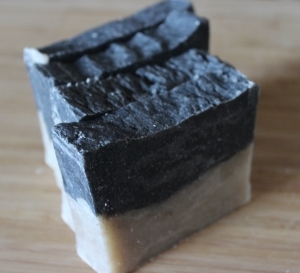 This soap is made the old-fashioned way using lard and lye. We add unrefined coconut oil for enhanced cleaning power and Effective Microorganisms (EMs) to boost the anti-microbial power. 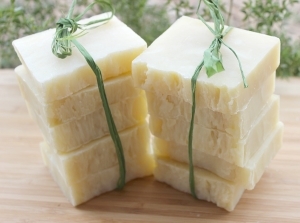 While most natural soaps are super-fatted for gentle skincare, this lard soap uses no extra oils, making it ideal for homemade laundry products. Whether you make homemade powder or liquid detergent, you'll love the unique cleansing action of this laundry soap! Ingredients: Saponified lard from pastured pork, coconut oil, EM ceramic powder, lemon and orange essential oils. Our EM laundry soap in a hand-crafted 4-oz. bar. Our 4-oz. EM soap, conveniently grated for laundry soapmaking use. Save $5! 10 of our EM bars in a money-saving package! Our Double Detox bar begins with our signature Coconut Castile Soap and adds ingredients that detoxify the skin and body, pulling impurities from the skin while infusing the cleansing and nutritional properties of seaweed and rosemary. The bar's lighter side utilizes rhassoul clay, a reddish-brown clay with extraordinary skin cleansing properties, to provide an ideal deep cleanser for the face. The darker side adds Aalgo seaweed, calcium bentonite clay, charcoal, and Certified Pure Therapeutic Grade rosemary essential oil for effective deep-cleansing of the body. This 4 oz. bar is perfect for those with acne or skin rashes, or anyone who desires a gentle yet effective detoxifying skin treatment. Ingredients: Coconut oil, olive oil, castor oil, palm stearic flakes, rhassoul clay, bentonite clay, Aalgo seaweed, activated charcoal, rosemary essential oil. 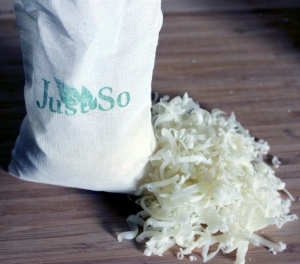 Each soap is packaged in a reusable 100% cotton muslin bag with drawstring. Use this herbal blend to make your own Vinegar of the Four Thieves, a natural cleaner effective in the kitchen, bathroom, and any room that requires disinfection. Vinegar of the Four Thieves has been passed down since the time of the Black Plague, when robbers rubbed a mixture of herbs and vinegar on their bodies to protect themselves from certain death. To create, simply combine these herbs with 60 ounces raw apple cider vinegar and allow the mixture to infuse for 3-6 weeks. 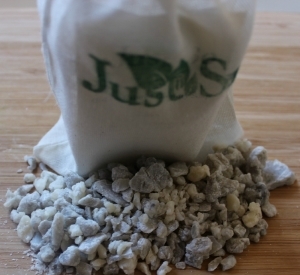 This herbal blend combines 7 herbs in a 100% natural muslin bag. Recipe for Vinegar of the Four Thieves is included. 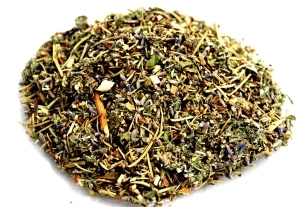 Ingredients: Dried lavender, dried rosemary, dried wormwood, dried sage, dried mugwort, dried rue, dried mint. This herbal blend combines with raw apple cider vinegar to create Queen of Hungary Water, a wonderful astringent that offers gentle yet effective restoration of the natural pH of the skin. Your finished product can be diluted with witch hazel extract, rose water, or other herbal water. Queen of Hungary Water can be used as a facial toner, a hair rinse, or a soothing addition to the bath. 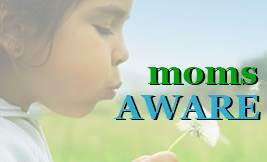 Our herbal blend combines 7 herbs in a 100% natural muslin bag. Recipe for 1/2 gallon Queen of Hungary Water is included. 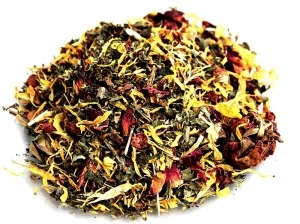 Ingredients: Dried lemon balm, dried calendula flowers, dried rose petals, dried comfrey, dried rosemary, dried lemon peel, dried sage.